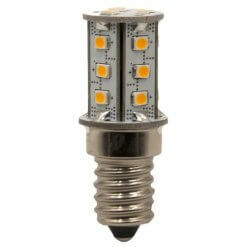 E14 LED bulbs also known as Small Edison Screw or SES to replace screw type bulbs. 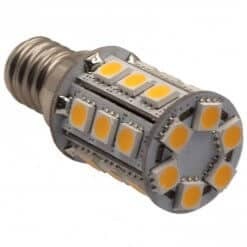 We have a range of Protected LED screw bulbs, all of which include Bedazzled’s purpose designed voltage spike protection circuit for safety, peace of mind and reliability. 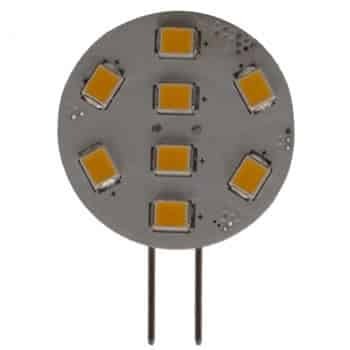 Most marine applications require a higher level of protection against electrical instability found on boat electrical systems. 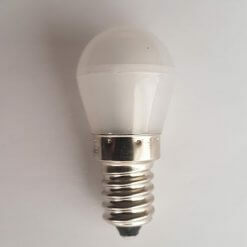 Many wall lights and table lights on low voltage battery systems use these domestic size 14mm diameter Small Edison Screw bulb – often known as ‘Bus Bulbs’ from their origins in the public transportation services. 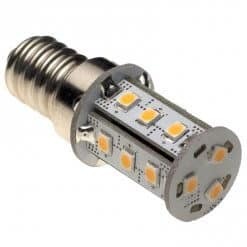 These E14 or SES bulbs are ideal if you want to use wall lamps from the domestic market on your boat, caravan or off-grid cabin but connected to your 12v or 24v battery supply! 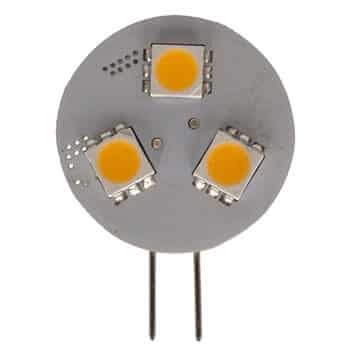 The E14 LED range can be used on any 12 volt and 24 volt DC lighting circuit and will withstand charging voltages, voltage spikes and fluctuations, there are no polarity considerations and they use around 1/10th of the power of the original incandescent. 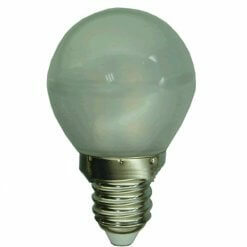 Available in both Warm or Cool White and if the bulb is directly visible, to make them more aesthetically pleasing there is a version with a milky white 'Golfball' style cover.